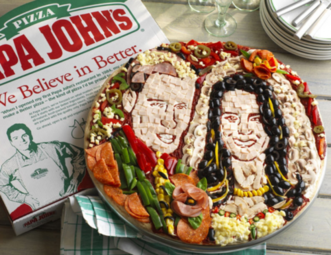 If I'd have known their faces were done in mushrooms, I wouldn't have ordered the royal couple special! 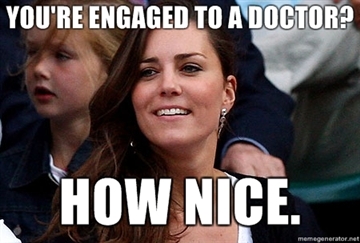 I found the site Kate Middleton For The Win last night and snorted out my tea laughing at the pictures. While I assume that Ms. Middleton is a charitable, warm-hearted person, the captions of her imagined thoughts are hilarious (all of which have something to do with her being better than the rest of us commoners–the commoners who will remain commoners, that is). 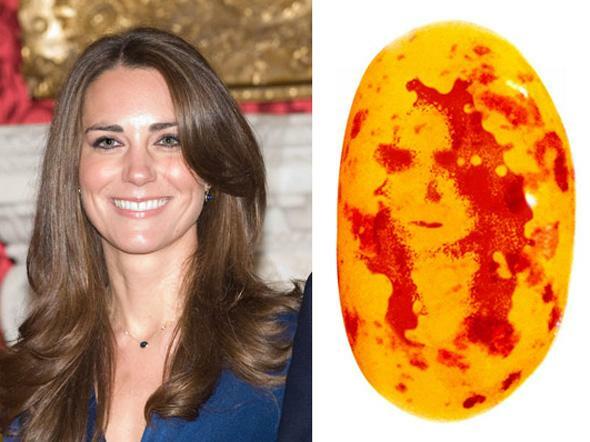 My friend told me her favorite picture on the site is a caption where Kate is thinking “Shouldn’t my face be on all the jellybeans?” This friend, who lives in London, thought it was funny because there are, in fact, jelly beans with Kate Middleton’s face on them. Besides eating the royal couple in small, sugary bites you can also drink out of them, send your letters with them, keep your hands warm with them, and even pick your nose with them. Hopefully neither partner will get cold feet, what with two billion tuning in tomorrow morning to see their nuptial celebration. If they do, though, I’m sure there are Royal Couple socks for that. It’s princess week at The Gloss, just as it is here at DIY dilettante (I guess I wasn’t too original in my theme selection this week). In honor of the royal wedding, they’ve featured slideshows of the the most awesome royal mistresses throughout history and the similar fashion sense of Princess Di and Kate Middleton. They also created a slideshow of their favorite princesses, from Cleopatra to The Lion King’s Nala to Princess Leia of Star Wars. Who would you choose? 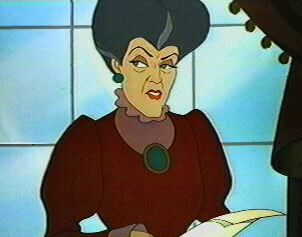 When Snow White enters the Dwarves’ house she is shocked by the messiness. Saddened, she utters, “Maybe they have no mothers.” This being the case, the Dwarves are in good company at Disney. Snow White herself does not have a mother (only an evil step-mother), and neither do the princesses Cinderella, Ariel of “The Little Mermaid,” Belle of “Beauty and the Beast,” Jasmine of “Aladdin,” or Pocahontas. I started looking into this topic for a Women and Gender Studies course in college and found some interesting research. In 2003, researchers coded twenty-six classic Disney films for their portrayal of families. They found that mothers are often marginalized and that love at first sight is a very prevalent theme. Love at first sight occurs in eighteen of the twenty-six films, and Mulan is the only “princess” who develops a friendly relationship first with the man she later falls in love with (and that only happens because she disguises herself as a man–heterosexuality is the unquestioned norm in Disney). Only five of the twenty-six films showed mothers as both primary caregivers and protectors, these films being “Dumbo,” “Bambi,” “101 Dalmatians,” “The Lion King,” and “Tarzan.” Interestingly, or perhaps startlingly, this means that only animal mothers are depicted as being strong influences in their children’s lives while human mothers, when they are present, are somehow flawed. Tiana, the first Disney princess who's...black? 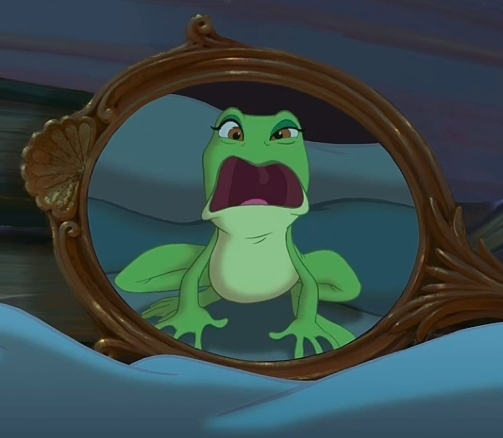 Disney seemed to take note of these and other criticisms when it came out with 2009’s “The Princess and the Frog.” Tiana, the eponymous princess, garnered excitement for being the first black Disney princess, but she is also the first princess with a living mother and a dead father. But how far has Disney really come? Tiana spends much of the movie as a green frog, a fact that was widely lambasted, and her dream of opening a restaurant is based on her dead father’s dream–thus, even though he’s deceased, her father is arguably a stronger influence on Tiana’s future than her living mother. 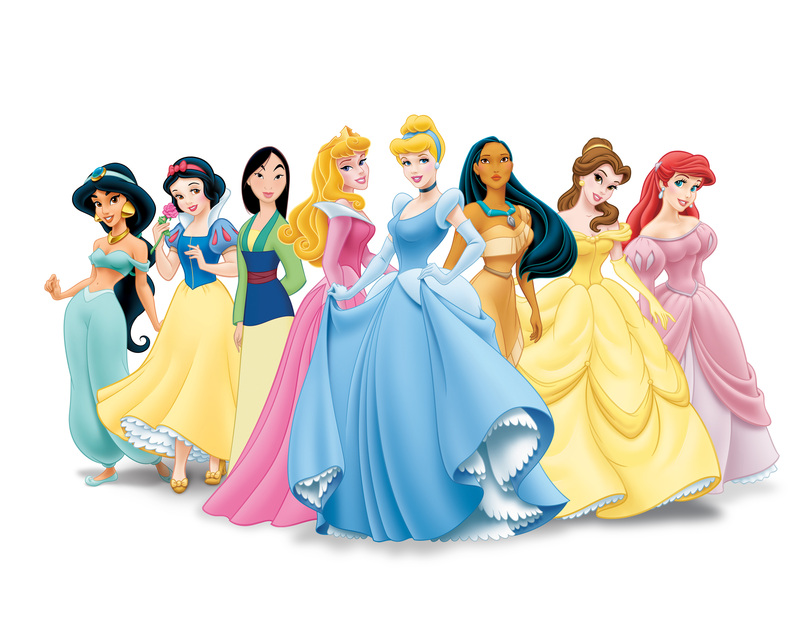 As I mentioned yesterday, Disney princesses are the primary idols for young girls in American society. 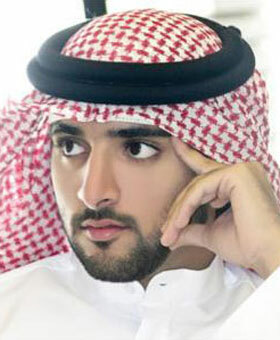 These princesses, though, are forever inscribed within the male hierarchy, as they lack female role models themselves and are only saved from their often pitiable conditions by kisses from princes. What does it do to our daughters to continually expose them to the themes of impotent motherhood and male saviors? 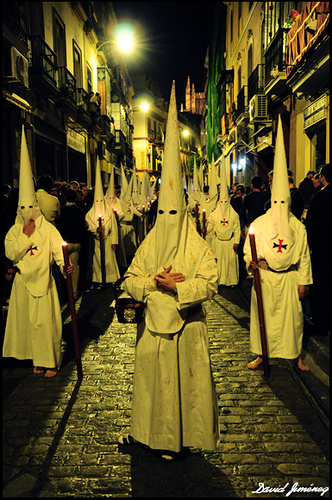 As I mentioned on Friday, the town in southern Spain that I lived in for a year, Arcos de la Frontera, has an unusual way of celebrating Resurrection Sunday. 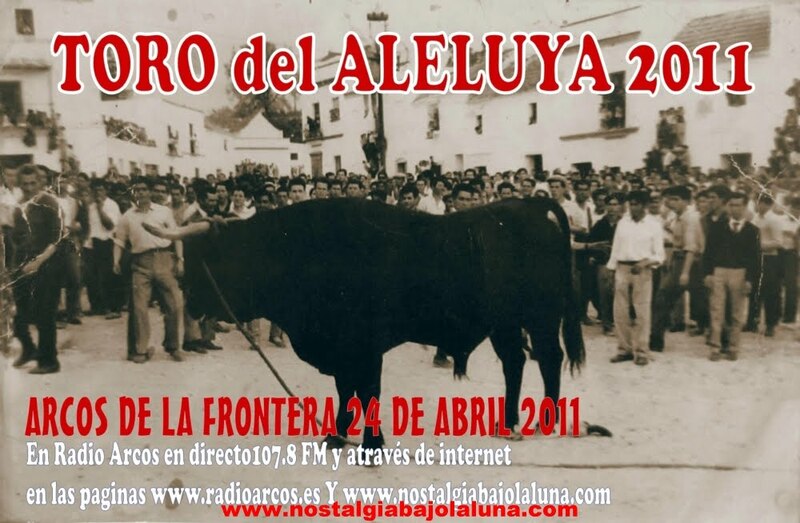 The event is called Aleluya del Toro, or the Hallelujah Bull. Townspeople get quite drunk and await the arrival of the two bulls that are let loose into a long gated corridor on the main street. If you feel particularly cocky (I use this word deliberately, as all of the people inside the bulls’ corridor are men) you may slide through the human-sized openings in the gates or jump over the top to challenge the bulls head-on. Dozens of ambulances and medical responders are on hand to deal with the inevitable bloody aftermath. Two years ago I wandered downhill from my apartment with friends to see the spectacle for ourselves. Thousands of people lined the red guardrails, and we heard the whoops of those nearing the bull that had already been let loose. We soon spotted the bull, who was near the end of the guardrail, its black hide gleaming with sweat, its sides heaving. The bull was obviously exhausted from running. 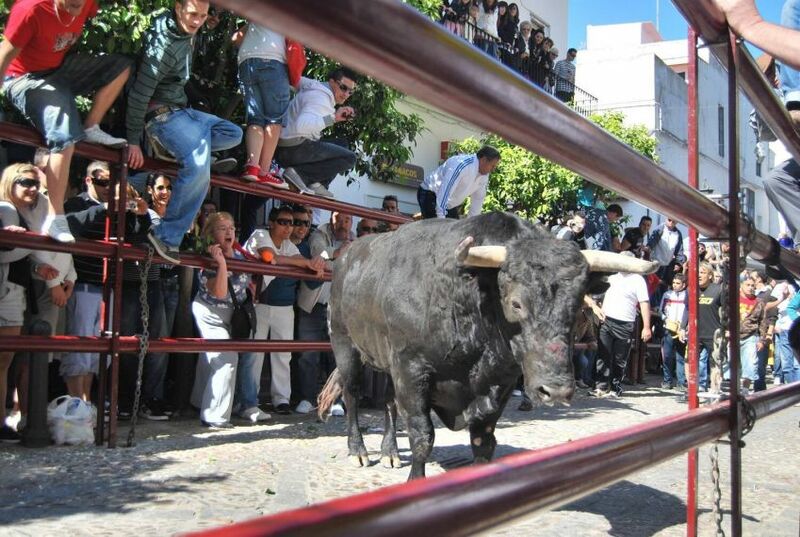 Men ran in front of it, waving bright pink matador capes, but the bull was uninterested. Finally, a man pulled the rope tied to one of the bull’s horns until the bull was annoyed enough to give chase. Delighted screams went up into the bright day as men fled and spectators cheered. The first bull disappeared from view, but we stayed in our position until the second bull was released. A truck pulled up with a large wooden crate marked 2 (I thought of Dr. Seuss’s Thing One and Thing Two). This bull was angry with captivity, and we heard its thrashing inside. One of its horns splintered through the wood. A crane hoisted the bull’s box into the gated corridor and a man on top of the box lifted the trap door. The bull came out in a rage and, instead of charging down into the open area in front of the box, it wheeled around and charged directly at the end of the guardrail where we were standing. Spectators who were sitting on top of the rail threw themselves backward to avoid the bull’s horns, and all narrowly missed being gored. The bull then took off in the opposite direction, leaving those who’d been in the most danger standing with shocked expressions. The people of Andalucía have a fascination with that moment before death, referred to as duende. Flamenco strives to express that knife-edge of mortality, but duende is not merely a metaphysical idea. Instead, it is a method of living: there is truth that can only be discovered in that split second before life ends and thus you must continuously seek out experiences which will transport you to that moment. 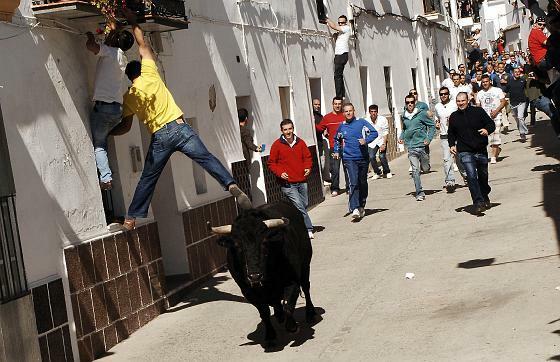 As I watched those people who had almost died by a bull’s horn on Easter Sunday, I saw their shock turn into grins. They gestured to each other–Did you see how close I was? Did you see how he almost got me?–and shared their survivor’s euphoria. Not me, not today, but almost, they seemed to be reasoning. And that almost, that brush with death, reaffirmed the gift of life. Halfway up the main street in the Spanish town of Arcos de la Frontera where I lived for a year stood a foreboding statue of three hooded men carrying a cross. Above them were the words “Semana Santa”–Holy Week. brotherhoods of Catholic penitents who wear tall pointed hoods and long robes (a costume that is an unfortunate reminder to Americans of a far more sinister hooded brotherhood)–prepare year-round. The first night I arrived in Sevilla, which was late September, I came across a large circle of brass players practicing their Semana Santa marches by the river Guadalquivir. I heard similar sounds echoing in the night sky in Arcos after my evening choir practices throughout the year. 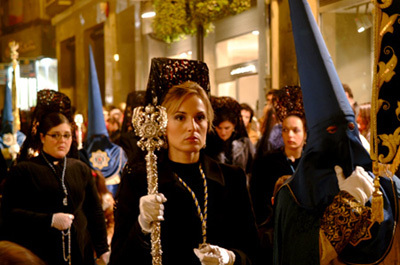 In addition, my apartment in Arcos was on the parade route, and at midnight for weeks leading up to Holy Week we’d hear the whinny of the brotherhoods’ cornets and the slow steps of the sixteen men carrying the float that would soon display Jesus on the cross or Mary holding her son’s body. The street in front of my apartment was only as wide as a car but also the only exit from town, so traffic on these rehearsal nights slowed to a dead stop. No one seemed to mind, though–Holy Week is important enough that it can disturb the patterns of ordinary life without anyone getting upset. The zeal for Semana Santa was a culture shock for me. I was raised in a midwestern Episcopalian church, for which the week leading up to Easter is a time for quiet contemplation. Easter Sunday is the glorious finale after the privations of Lent, a reaffirmation and celebration of the most important miracle of the faith. In Andalucía, however, Easter itself is an afterthought. Easter Sunday is celebrated with a running of the bulls in Arcos, which seems at odds with the intense religiosity of the preceding week. I realized, though, that in this culture so highly saturated with pain and oppression as to make it into an art form–flamenco–that the torture inflicted upon Jesus and the oppression of his disciples is what resonates the most from the Easter story. Flamenco appears in Semana Santa parades in the form of saeta singing. Originating from Catholic psalms but quite obviously incorporating Jewish and Moorish influences, a saeta is an expression of extreme pain and profound sadness. The saeta is usually sung by a single person without accompaniment from a balcony along the parade route. Brotherhoods halt their floats in front of the singer, who addresses his or her song directly to Jesus or Mary on the platform. As you will see by watching even a few seconds of the following clip, there is something otherworldly about the saeta; it’s not hard to imagine being intensely moved if you were to hear this in person.